New Track Today, New Album on July 1st! 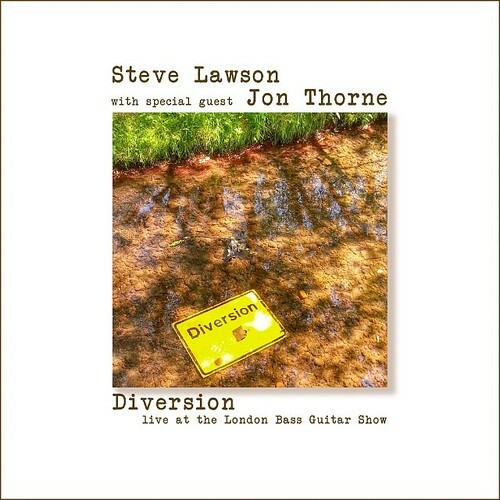 Now, the new album is out on July 1st, is called Diversion, and comprises two long duo pieces with double bass genius Jon Thorne, recorded live at the London Bass Guitar Show this year, the first time we’d ever played together. Jon, as bassist with Lamb, has been a bass hero of mine for many many years, and his own album, Watching The Well, written for Danny Thompson, is outstanding. I’m SO happy with this music, and am looking forward to playing shows with Jon. Here’s the artwork for the album. It’ll be at http://music.stevelawson.net on July 1st!